You rarely face two identical days as a hotelier in Eastbourne and this variety easily extends to our guests at The Guesthouse East. 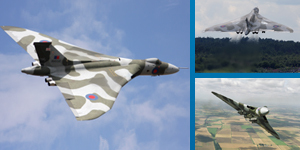 Airbourne took over the town for four days last week, with crowds flooding in to celebrate its 20th anniversary – with a Vulcan bomber starring on Saturday. It’s taken 4 days for my ears to stop bleeding. What I really needed to recuperate was an ayurvedic oil massage, random whale sounds and the soft hands of Tina, our resident therapist. Unfortunately this delightful therapy was strictly reserved for our two guests enjoying a pregnancy pilates and pampering break. Tracy, the pregnancy pilates instructor is also three months pregnant – a nice touch, I thought, her getting into the spirit of things. Whilst I’ll never get to sample the indulgent treats, judging by the smiles and post-facial glows they do make excellent gifts for mums-to-be. For £195 each you receive two pilates classes, two nights bed and breakfast and a choice of a mini facial, pedicure, manicure, or half-hour massage. Reflexology and extended massages / facials are available for a small extra charge and you can book additional treatments. Partners are very welcome. I rather envy their opportunity to enjoy the papers by the window, sipping an espresso. Who am I to reveal that such occasions may be more limited in a few months time. Maybe they should get a snooze in while they can….